Video calling family and friends, managing photos and emails, creating data backups Partition & Use Your Time Machine Hard Drive To Store Files Too Partition & Use Your Time Machine Hard Drive To Store Files Too If your Mac's hard drive is small and your Time Machine hard drive is big, it might be worth using the drive for both backup and storage purposes. Read More — your Mac has tools to handle these common activities, and you probably use them already. But what about dictating notes, looking up words, or merging PDFs? Your Mac has in-built tools for these tasks too! Let’s explore some of the other everyday functions that your Mac can perform without installing third-party software The Best Mac Apps to Install on Your MacBook or iMac The Best Mac Apps to Install on Your MacBook or iMac Looking for the best apps for your MacBook or iMac? Here's our comprehensive list of the best apps for macOS. Read More . Before you install a text expansion app like TextExpander or aText, explore your Mac’s native text expansion features. You’ll find them under System Preferences > Keyboard > Text. Creating a text expansion shortcut is easy: just copy the format of the default entries — the text shortcut goes on the left and the full text that you want to expand it to goes on the right. Not familiar with the concept of text expanders? Learn more about how text expanders can save you time What Is Text Expansion & How Can It Help You Save Time? What Is Text Expansion & How Can It Help You Save Time? If you could save yourself even a small fraction of the time you spend typing, you could save hours of your time every week. That's exactly what text expansion is for. Read More . Your Mac comes bundled with a Dictionary application, which has a dictionary, a thesaurus, and a glossary of keywords related to Apple products, set up in a tabbed format. It can also fetch data from Wikipedia. Now, here’s the interesting part: most of the time you don’t even need to launch the Dictionary app. Tap on any word onscreen using three fingers on a touchpad (or right click and choose Lookup if you use a mouse) and you’ll get a popup with short Dictionary and Thesaurus results. Click on the Open in Dictionary link at the end within the popup if you want to open the Dictionary application after all. To make the popup disappear, hit Esc or click anywhere outside it. The keyboard shortcut cmd+ctrl+d works as an alternative to the three-finger tap. You can even change the gesture in your Trackpad settings Why OS X Works Better with a Trackpad Why OS X Works Better with a Trackpad While Microsoft has focused on bringing touchscreen technology to the desktop, Apple has continued to optimize for the more traditional pointer-based approach. Read More if you want. If you want a more thorough definition without opening Dictionary, Spotlight is your friend. It is Mac’s in-built search mechanism and you can bring it up by hitting cmd+spacebar or by clicking on the magnifying glass icon on the right in the menu bar at the top. If a Wikipedia entry is available for the keyword, you’ll find a condensed version of it under the Wikipedia category in the search results. This won’t work if you have unchecked the box next to Allow Spotlight Suggestions in Spotlight and Look up in System Preferences > Spotlight. If you’re on the lookout for software to split and merge PDF files, end your search now. 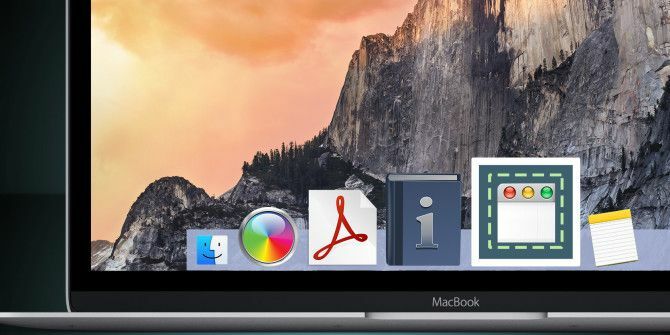 Your Mac already has it: you can merge and split PDFs using the Preview application. I've only just found out that the default Mac pdf viewer can split and merge pdf files super-easily. How did I not find this out sooner!? Begin by opening the PDFs that you want to merge. Next, reveal the sidebar for each PDF using View > Thumbnails or cmd+option+2. Now drag and drop the thumbnails from each of the PDFs to the sidebar of one you want to merge them with. The thumbnails are numbered and you can drag and drop them into the right sidebar locations to rearrange the pages. What’s 993 times 1122378? How many kilometers equal 23 miles? How many Euros make 100 USD? Spotlight has all the answers. Type in your conversion-related queries or math sums in Spotlight and you’ll get the right answers immediately. No need to head to Google or open the Calculator app or install a piece of converter software. Spotlight is it! 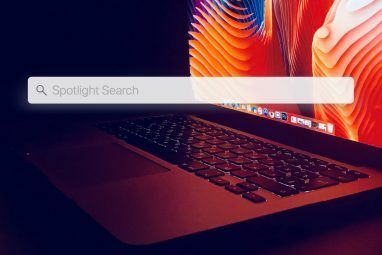 Check out our other Spotlight tips for more efficient searches Search More Efficiently In Mac OS X With Our Top Spotlight Tips Search More Efficiently In Mac OS X With Our Top Spotlight Tips Spotlight has been a killer Mac feature for years, with Cupertino regularly schooling Redmond in the art of desktop search. Here are a few tips to help you find more on your Mac. Read More . LastPass, RoboForm, 1Password — before you install one of these popular password managers, why not try Apple’s own iCloud Keychain iCloud Keychain: Why You Want It & How To Use It iCloud Keychain: Why You Want It & How To Use It iCloud Keychain is a secure password manager for both OS X Mavericks and iOS 7 for iPhone and iPad. Use it to quickly and easily log into websites, Wi-Fi networks, Internet accounts, and more. Read More ? It’s a secure password manager that comes bundled with your Mac, and one that you might end up happy with. If you’re fully immersed in the Apple ecosystem with an iPhone, iPad and Mac computer then iCloud Keychain might be the password manager for you. The program I use most on my Mac is Keychain Access because I can’t remember any of my passwords or their 48,000 varying requirements. iCloud Keychain stores everything — from your usernames and passwords to your Wi-Fi information and credit card details. To start using it, go to System Preferences > iCloud, sign in to your iCloud account, and check the box next to Keychain in the panel on the right. Got a prompt to set up a security code? It means that you’re on the right track. Continue following the onscreen instructions and finish the keychain setup process. iCloud Keychain takes care of your sensitive data, and keeps this data updated across all your iCloud devices. To view your passwords on a Mac, bring up the Keychain Access application via Spotlight search or from Applications > Utlities. 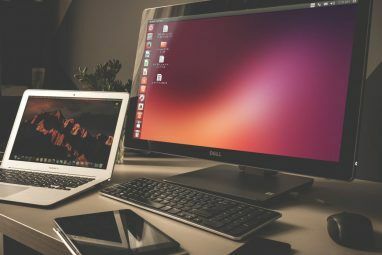 This one’s for new Mac users who have switched over from Windows Switched: The Convert's Guide to the Mac and OS X Switched: The Convert's Guide to the Mac and OS X Thinking of switching from your Windows-based PC to a Mac? Learn everything you need to know in order to make that transition painless. Read More . If you’re frustrated that there’s no cut (ctrl+x) equivalent on Apple’s OS, relax. Some shortcuts work a little differently on the Mac. In this case, you copy the files you want to move by using the copy shortcut (cmd+c), go to the destination folder, and instead of pasting them as usual with cmd+v, you paste them with cmd+option+v. You can also right click, hold option and watch the paste menu option turn into move. This works like the cut-paste function on Windows. Adding the option key to various keyboard shortcuts gives you superpowers on your Mac 20 Things You Didn’t Know You Could Do with the Mac Option Key 20 Things You Didn’t Know You Could Do with the Mac Option Key The Command steals the limelight on your Mac's keyboard, but it’s the Option key that is the real hero. Read More . Your Mac has a screen grabbing utility How to Take Screenshots on Mac: Tips, Tools, and Tricks to Know How to Take Screenshots on Mac: Tips, Tools, and Tricks to Know Need to take a screenshot on your mac? Here are the best shortcuts, tips, and apps for macOS screenshots. Read More called Grab. You’ll find it under Applications > Utilities or via Spotlight search. Grab is nothing fancy, but it’s decent and does the job well. You can use it to capture a window, a screen, or a selection. You can even grab a screenshot with a timer in place — great for capturing nested menu selections and such. There are also a selection of instant keyboard shortcuts you can use How to Take Screenshots on Mac: Tips, Tools, and Tricks to Know How to Take Screenshots on Mac: Tips, Tools, and Tricks to Know Need to take a screenshot on your mac? Here are the best shortcuts, tips, and apps for macOS screenshots. Read More to capture directly within the OS itself. Want to save your screenshots in a different format, remove transparent drop shadows, or use a different location by default? Here’s how to change your Mac’s screenshot properties How To Change The Default Screenshot Image Format & Other Properties [Mac] How To Change The Default Screenshot Image Format & Other Properties [Mac] Read More . Tired of typing? Your Mac can take over for you. All you need to do first is go to System Preferences > Dictation & Speech > Dictation and select the radio button corresponding to On. Once you do this, you’ll be able to dictate notes to your Mac within any text-editing application. Press the Fn key twice to start or stop dictation. You can also order your Mac around Control Your Mac With Voice Commands & Better Dictation In OS X Yosemite Control Your Mac With Voice Commands & Better Dictation In OS X Yosemite You once needed expensive software and a lesson in patience to control your Mac with your voice, but now you can do it with little more than Apple's latest free upgrade to OS X. Read More . To make this happen, after you have turned on the Dictation feature, go to System Preferences > Accessibility > Dictation. Click on Dictation Commands to see the list of pre-programmed voice commands that you can use to show your Mac who’s boss. You can also create custom commands from this dialog. Got to 40k words, surging wrist inflammation, now discover Mac OS has a dictation feature. Slow learner. Siri is coming to the Mac soon, but Dictation Commands are just one of the ways you can add macOS Sierra-like features to El Capitan right now Don't Wait, Get macOS 10.12 Sierra Features in El Capitan Right Now Don't Wait, Get macOS 10.12 Sierra Features in El Capitan Right Now Want some of the new macOS Sierra features right now? You're in luck. Read More . Want text to speech conversion? Explore Voice Over, Apple’s native screen reader software VoiceOver Makes Apple Devices More Accessible Than Ever VoiceOver Makes Apple Devices More Accessible Than Ever President of the American Foundation of the Blind reckons that "Apple has done more for accessibility than any other company to date," — and VoiceOver played a big part in that. Read More . Love the blue color in the MakeUseOf logo? Want to use it in one of your own designs or maybe as the background in your text editor? Finding its exact shade is easy. Search for Digital Color Meter in Spotlight and open it. With this application on top, move the cursor over the blue color to see its color code right away. That was painless, right? And you didn’t even need an extra app to do that. You can choose to display the color codes in several formats using the drop-down menu. Unfortunately, HEX codes used in web development are not an option, so you’ll need to fall back on Google for the conversions. Let’s say that you have decided to make a screencast tutorial for YouTube How to Make a Screencast Tutorial for YouTube How to Make a Screencast Tutorial for YouTube One of the most popular types of YouTube video is the screencast. Here's how to easily make your own. Read More . You’re all set to Google for a screen-casting app you can use — not so fast! Open up QuickTime Player and click on File > New Screen Recording. That’s your screen recording software right there, and you can even use it to record your iPhone or iPad screen if you want Record Your iPhone or iPad Screen Over Lightning With Your Mac Record Your iPhone or iPad Screen Over Lightning With Your Mac Apple has made recording easier with a "hidden" feature to OS X Yosemite that lets users stream their iPhone or iPad display to a Mac. Here's how it works. Read More . If you want a good screen recording tool for Mac, save time reading reviews and just use QuickTime Player. Easy, with audio, no limits. If you want to turn the screencast into a GIF, you won’t find a simpler tool than Drop to GIF. Download it, open it, and drop your video onto its interface for instant movie to GIF conversion. In addition to screen-casting, QuickTime Player can take care of other audio-video tasks 7 Handy Tasks QuickTime Player Performs for Free 7 Handy Tasks QuickTime Player Performs for Free You've probably changed the file association so QuickTime never gets used, so you've probably overlooked its bounty of useful features. Read More for you, for free. Some of your Mac’s in-built tools might not be perfect, have all the advanced features you need, or might be quite different from what you envisioned, and you’ll then need to look for a third-party application anyway. But for many everyday functions, the tools that came with your Mac are good enough and require no additional downloads. Which native macOS tools are you happy with? What else would you like Apple to include? Tell us what makes you happy with macOS and what leaves you frustrated. Explore more about: PDF, Screen Capture, Screencast, Speech to Text, Spotlight.